Magento 1 to Magento 2 migration with brand new M2 website, rules & processing. Cartspan integration, complex pricing and quoting. 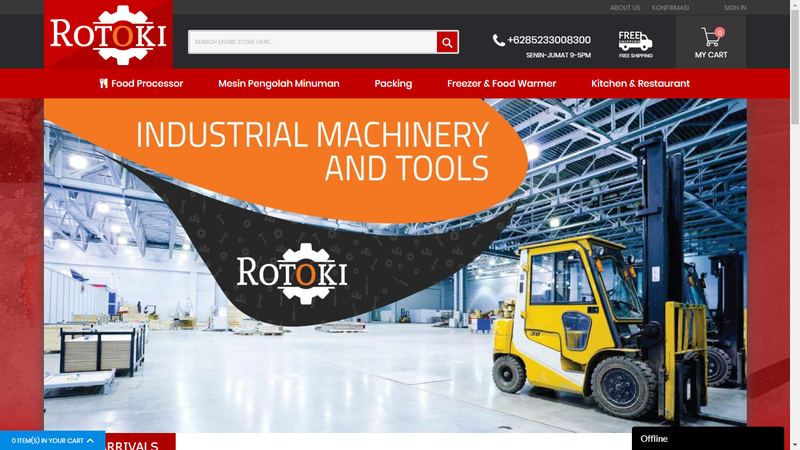 Rotoki.com is a new website selling all kinds of industrial machinery. They want a simple E-commerce website done right and fast. Shipping needs to use custom courier with a mix of free shipping on certain cities. They also need a bank transfer with payment confirmation method. Rotoki.com is built using Magento 2, with a premium theme. It allows for super fast delivery. The entire site is done in just 2 weeks. There are a few conflicts with other extensions, but it doesn’t take that long.